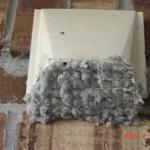 Do You Know What Routine Maintenance is Necessary for Dryer Vents? Learn Here! Preventing a fire in your home is important. Knowing what to do to prevent a fire isn’t as easy. In order to help you out we found this article with routine maintenance you should do to your dryer. We hope it helps! If you need Hammond dryer vent cleaning services, then Dryer Vents Plus is your #1 choice! Call Jeremy Leake today at 225-612-7752 to schedule your 100% Free, No Obligation Quote! In 1999, the U.S. Consumer Product Safety Commission (CPSC) developed a report called the ?? ?Report on Electric and Gas Clothes Dryers.??? In it, they stated that about 75% of households have a clothes dryer, which means that well over 75 million households in the U.S. have a gas or electric clothes dryer. The report also showed that in 1996 (as a sample year) more than 15,000 fires, 20 deaths, more than 300 injuries and over $80 million in property damage occurred from just dryer fires. – Check the outside dryer vent while the dryer is operating to make sure exhaust air is escaping. You should feel a strong discharge of moist warm air. If you do not feel a strong discharge of air, the vent or the exhaust duct may be blocked. – It may be necessary to disconnect the exhaust duct from the dryer to remove a blockage in the exhaust path. – Disconnect the ducting and inspect for blockage. – If the duct has lint buildup, clean the duct. – Remember to properly reconnect the ducting to the dryer and outside vent before using the dryer again. Remove the lint trap filter from dryer and brush it clean to remove lint. – Clothes take longer and longer to dry. – Clothes don’t fully dry. – Clothes are hotter than normal at the end of the drying cycle. – The outside of dryer gets very hot. – The outside exhaust vent flapper does not open very much, indicating low exhaust velocity. – Laundry room becomes more humid than it is usually. – Burnt smell is evident in the laundry room. To clean the lint trap, first, remove the lint trap filter from the dryer and clean it. This must be done before or after each use of the dryer. Then, vacuum the lint trap housing cavity monthly. You need to take special care when laundering clothes containing VOCs (volatile organic compound), such as gasoline, cooking oils, cleaning agents, or finishing oils and stains. Wash heavily soiled clothing more than once to minimize the volatile chemicals still on the clothes, and, if possible, hang the clothes out to air dry. If using a dryer, use the lowest heat setting and a drying cycle that has a cool-down period at the end of the cycle. To prevent clothes from igniting after drying, do not leave the dried clothes in the dryer or piled in a laundry basket. Looking for more information on preventing a dryer fire? Checkout this article about preventing dryer fire that could be of interest to you. Did You Know That Your Dryer Can Catch on Fire? Fires can happen in a myriad of different ways, some of them preventable and some of them are not. We owe it to ourselves as homeowners to do what we can to prevent the ones that we can. 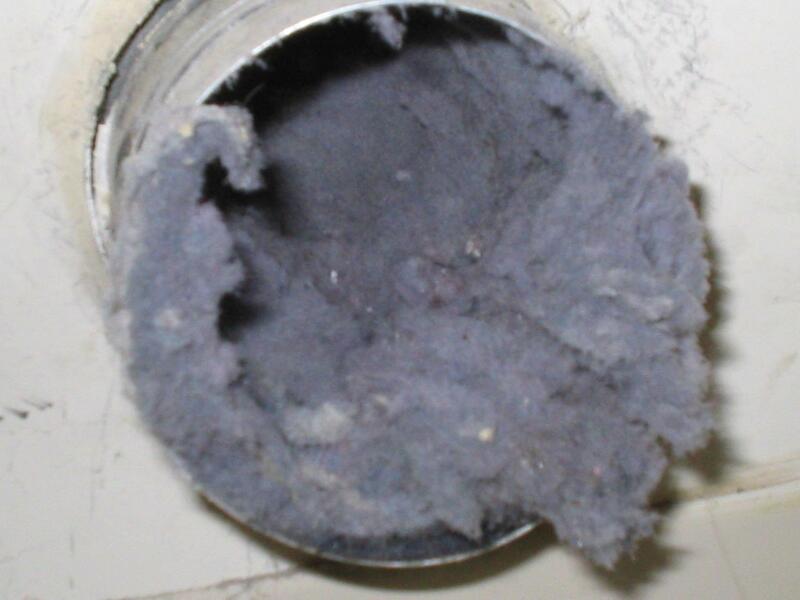 One of the ones that can be prevented is the ones caused by clogged dryer vents. We found this article with more information that we hope will help. In most homes, the clothes dryer has become an indispensable part of family living. And for families with children, laundry often seems never-ending. But, many families don’t know that clothes dryers can be a leading cause of fires in the home approximately 15,000 every year. At UL, we rigorously inspect, certify and test dryers while they are still in the factory to ensure that safety standards are met. Once you bring them home, a little preventative maintenance can keep them in good working order. One of the most common causes of dryer fires is lack of maintenance. When lint traps aren’t cleaned as often as they should be, the resulting build-up in the screen or other areas can cause the dryer to perform poorly, operate at elevated temperatures and possibly overheat ??? with dangerous consequences. An important safeguard your family can take is to ensure that your dryer has rigid or flexible metal venting and ducting materials to help sustain airflow. This will also reduce operating costs and extend the life of the dryer and clothing due to lower drying temperatures. -Clean the lint trap before and after drying each load of clothes. 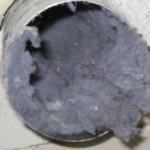 -Don’t forget to clean the back of the dryer where lint can be trapped. -The interior of the dryer and venting system should be cleaned periodically by qualified service personnel. 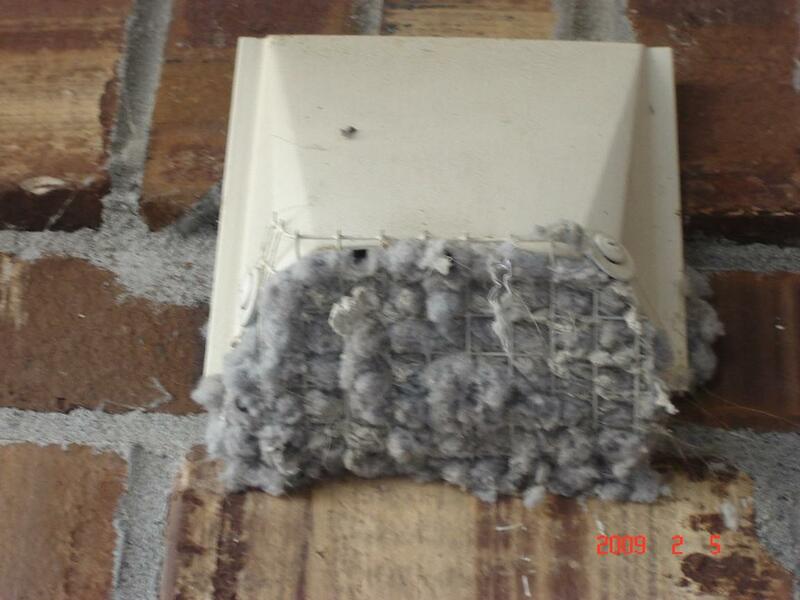 If you notice the drying time is longer, clean the vent system thoroughly to ensure proper airflow. -Replace plastic or vinyl exhaust hoses with rigid or flexible metal venting. Looking for more information on dryer fires? Checkout this article about dryer fires that could be of interest to you. From NBC News – Learn Why Dryer Cleaning is Must! In this video you’ll learn why cleaning out your dryer vents is a must. SPONSOR FOCUS: If you need Hammond homeowners associations dryer vent cleaning services, then Dryer Vents Plus is your #1 choice! Call Jeremy Leake today at 225-612-7752 to schedule your 100% Free, No Obligation Quote! Cleaning on the brain? What about Spring cleaning? Checkout this article about how to make Spring cleaning easier for homeowners that could be of interest to you. Who Designs Better? Men or Women? Find out Here! Oh the age old question, who is better at such and such men or women. Well for this article’s case the such and such is home design. Read this article to find out what this writer’s research uncovered. Men may be from Mars and women from Venus but they both think a great kitchen is their No. 1 priority in a home, according to an informal survey conducted by two architects, an interior designer, and a home builder. Even more interesting was that their ranking of priorities for other home features were almost evenly aligned. In fact, men and women shared the same top three priorities. In addition to kitchens, they ranked function, function, function at No 2 and a wonderful master suite No. 3. The other seven items they chose for their lists were closely aligned in order of preference, except for the garage/workshop. That priority ranked last in the top 10 for women and seventh on the list for men. While He and She said mostly the same things, they seemed to have different reasons for their rankings, said Crasi: They got there on different paths. For instance, women and men polled ranked a place to work at close to the same level of importance, but the spaces they wanted differed. Women wanted command center-style areas near the kitchen at the heart of the house where they could listen for oven timers and dryer bells while watching the kids as they worked. Men preferred more traditional quiet spaces away from the fray, the presenters said. Garages made the rankings for women because they are good for storage, create a sense of safety, and they’re practical in inclement weather. Men like garages for their toys. There was one area of strong divergence. Women ranked having a space for guests as No. 9 on their priority lists while most men didn’t put it on their top 10 list at all. Men ranked home technology No. 10, while it was missing from the women?? ?s top 10 list. The items excluded from the lists of most men and women were green-ness, bonus space, and kids space. The thought among the panelists about why kids space and bonus space were excluded was that those polled most likely thought that kids??? space was already included on their wish list in other categories. While the men and women surveyed as a whole seemed to be almost on the same page in home priorities, there were some interesting differences when the groups were sorted by age. For instance, men and women under 30 truly could be from different planets. A wonderful master suite was most important to women of that age, while men wanted entertaining space. Men ranked outdoor living as their second favorite feature, while women preferred a great kitchen at the second spot. The only things they agreed on were function, function, function at No. 2 and the garage/workshop at No. 9. If you have additional questions contact us today! Dryers start fires. It’s a fact. Still don’t believe us? Read this article and decide for yourself. $236 million in direct property damage?? 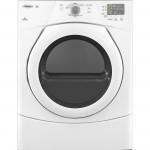 Most (81%) home structure fires involving washers or dryers began in a laundry room? ?or area. Most of these home fires involve clothes dryers (92%). 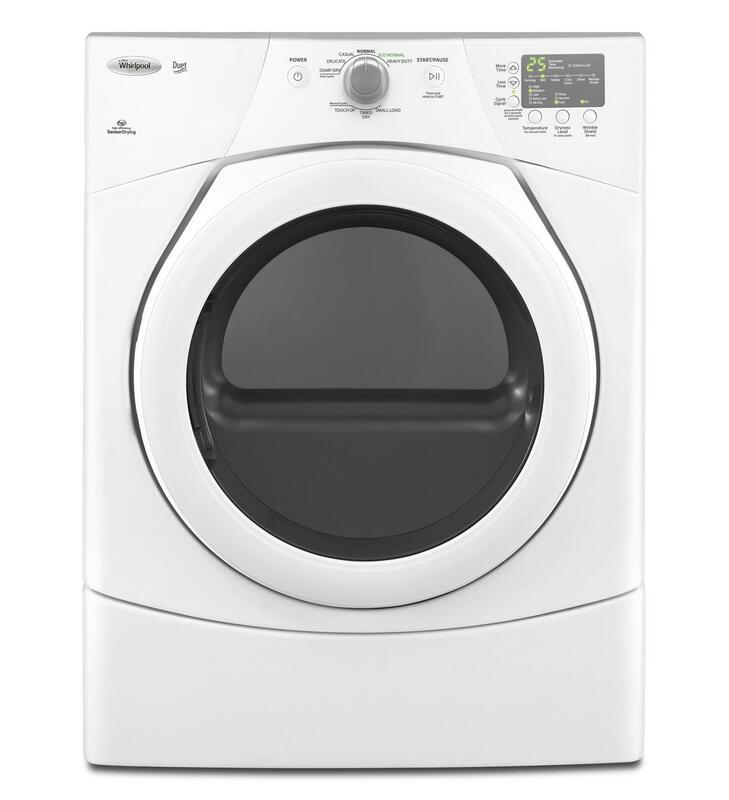 The leading cause (32%) of home clothes dryer and washer fires was failure to clean. If your think your dryer vents might be clogged give us a call today! Think You’ll Save Money By Not Having an Inspection? Think Again! Thinking of skipping an inspection to save a few dollars? IT’s rarely worth the risk. Read this article and decide for yourself. Strange things happen in hot real estate markets, and some of these things can be detrimental to sellers, buyers and the whole real estate experience. One such hot-market phenomenon is that some buyers decide to not make a professional inspection a contingency of their offer to purchase a home. Waiving the inspection contingency may help them prevail in a multiple offer situation, but it can prove foolish. Fred Friedland, a REALTOR?? with the St. Francis Wood office of Prudential California Realty in San Francisco — one of the nation’s hot real estate markets — says he has seen three all-cash, no-inspection offers in recent months. “I would never advise a buyer to not have inspections, but it seems it’s being done,” he says. “And they’re the ones who are getting the property.” Sellers naturally favor offers that don’t contain an inspection contingency because it’s tantamount to selling their home as-is. Regardless of the home’s condition, the buyers can’t insist on the seller making any repairs that aren’t otherwise provided for in the purchase contract. Of course, the buyers may not have much leverage in a hot market anyway because the seller may be holding formal back-up offers and other eager buyers may be waiting in the wings. Nonetheless, the risks to the buyer of not having a professional inspection as a contingency are considerable. “The buyers face a huge risk in terms of buying a property with an unforeseen defect,” warns Friedland. He recalls one instance when an inspector discovered that a home had been built on a sewer easement. “The value of the property went to zero,” he says. Friedland recalls another case in which the sellers of a 1897 Victorian home provided a pest control report showing the property needed $2,400 in mitigation work. The buyers hired a home inspector who happened to be a licensed pest control expert as well. He noticed some additional termite damage that would cost thousands of dollars more to repair. In fact, the home was being eaten alive from the ground up. “The sellers were trying to minimize the appearance of how much damage there was,” Friedland believes. While these are extreme cases, buyers who waive the inspection contingency have no protection from a host of lesser, yet still costly potential defects in a home. A leaking roof, faulty electrical wiring, malfunctioning major appliances, a defective heating or cooling system and many other problems can result in thousands of dollars of unexpected repair costs at a time when most buyers are strapped for cash. Waiving the inspection contingency doesn’t mean the buyers are buying blind. They can see much for themselves, and Friedland mentions that a buyer who is a general contractor probably can assess a property without an inspector’s report. Also, some state disclosure laws force sellers to reveal any material problems of which they are aware. However, many sellers are blissfully ignorant of serious defects in their home, and they naturally can’t disclose what they don’t know. Finally, a buyer’s purchase offer might contain a right to have a professional inspection even though approval of the inspection report won’t be a contingency of closing the transaction. If the inspector uncovers substantial problems, the buyers can attempt to find another way to cancel the escrow. The bottom line is that waiving the inspection contingency is rarely worth the risk, particularly because it doesn’t ensure a price discount in a strong market. Friedland says well-informed buyers much prefer to move on to another home rather than pass on the inspection. “They’ve always felt they would rather not get the property if they wouldn’t be allowed to have the inspection,” he says. For all of your dryer inspection needs look no further! Looking to Sell a Home? Checkout These Ideas! If you are trying to sell your home it can be difficult to know how to set your house apart from the other houses on the market. We found this article with 15 different marketing ideas that we hope will help. Think of your marketing plan as a solar system and your website as the sun, the panelists suggested. Your marketing efforts around the Web, including social media, email campaigns, and other venues, should all direct shoppers back to a well-planned site. Don’t offer site visitors the whole story, since that allows them to make a decision without you ever having the chance to contact them. Instead, hold some information back, such as pricing, and experiment with different calls to action to harvest email addresses or phone numbers to enable your sales team to follow-up with prospects. For the same reason that most builders wouldn’t trust your average freelance writer to hang drywall, panelists suggested hiring professional writers to write website content; builders should also have their writers create content for blogs, Facebook, LinkedIn, email blasts, and other outlets. Make sure your online ads are staying in front of prospective buyers by placing cookies on their computer when they visit your site. Those cookies will then track the next few sites they visit?? ?which are likely to be sites they visit often and place your ads on those sites when they visit them again. Incorporate a form into your website to garner information on what shoppers are looking for in a home. (How many beds and baths? Do they want a formal living room?) Then email them floor plans that fit their criteria. According to a study of new-home buyers, five years after Lennar customers purchased a home, they couldn’t identify who their builder was, but they know what kind of car they drive, one panelist pointed out, emphasizing that builders need to look to other industries for good examples of how to stay visible to customers to better establish a brand reputation. Decide what message you want your brand to be most associated with, and then ensure that message is conveyed at every interaction a customer has with your company. Rather than fight the reality that people use model homes for decorating ideas, embrace it by redecorating one room in your model each month to keep people coming back while establishing your brand as a leader in design. Send out an email blast with a photo of a corner of the room, and then make people come into the model to see the rest. Don’t underestimate the power of philanthropy. With the value of using video today, we as builders should do something cool, one panelist noted, adding that last year, 456.6 million content videos were watched and 105.4 billion video ads were viewed. Viewers spent 2.5 times more time watching personally relevant short form videos compared with other videos. Tap into professional organizations such as young professionals groups, medical professional organizations, and teachers associations by offering a networking lunch at your model homes and collecting business cards for a raffle. These are people who have a career and a paycheck, making odds better that they will be in a position to buy, one panelist noted. Stay top of mind with local Realtors by sending sales teams to the Realtor offices to be a part of their weekly meetings. Since Realtors are an excellent source of qualified leads, treat them as a customer and educate them on how you build and the value your homes offer. Don’t waste money targeting all Realtors, since 90% of the business comes from 10% of the Realtors, one participant noted. Consider hosting a monthly lunch group for the top Realtors in your area at your model homes to give them a chance to become familiar with your product and learn about any new communities or floor plans you offer. If we can be of any help please contact us today! Interested in how much house you can get for a certain amount of money in different locations? Then checkout this article we found. SETTING: Fox Point is a residential village on Lake Michigan, 10 miles from Milwaukee. This house sits on a bluff overlooking the lake, in a part of town known as East of Lake Drive, where the village’s grid gives way to wooded, winding roads lined with prewar houses on acre-plus lots. The village has a handful of county landmarks, residential and municipal, including cast-iron street signs hung shortly after the village incorporated in the 1920s. For shopping, most residents go to Whitefish Bay; Milwaukee is also nearby. There’s a public beach five minutes away, in Doctors Park. INDOORS: The two-story house was built in 1934. Four wood-burning fireplaces, wood-beam ceilings, and hardwood floors are believed to be original; other parts of the house like the kitchen and bathrooms were recently updated by the current owner. Off one side of the central foyer is a dining room with a cove ceiling; off the other is a living room with wood-beam ceilings and a fireplace. The dining room leads to a kitchen, which in turn leads to a family room via a hallway lined with built-in floor-to-ceiling bookcases. French doors in the family room open to the covered back patio. The master bedroom suite is off the living room, and opens to the back patio. The other four bedrooms are upstairs. One has an en-suite bathroom. Downstairs, in the finished basement, is a recreation room with a fireplace and a mosaic-tile floor also original details. OUTDOOR SPACE: The lot is on over an acre and a half, with a patio, landscaped perennial gardens and mature trees. Everyone knows to clean the lint trap out before starting a new load of laundry but there are other things that you can do to protect yourself and increase the life of your dryer. We found this article with tips that we think should help you a lot. Turn the dryer off if you leave home or go to bed. If you have additional questions about our Baton Rouge dryer vent cleaning services, call us today! In this except of a recent article by the nationally-syndicated column “Hints from Heloise”, she answers a reader’s question about some of the potential (and unknown) dangers of unchecked dryer vents and lint buildup. I recently purchased an ELECTRIC DRYER. Before the deliveryman installed the new one, I vacuumed out the exhaust hose and was surprised to get a lot of lint. I noticed that the dryer did not completely dry the clothes on the setting I chose, so I tried another setting, with success. I put in another load, and shortly after, I noticed a red light under the check vent option. My husband went outside and took the cap off the dryer vent, stuck his hand inside and pulled out compacted lint. I truly was amazed, as I always clean the lint filter inside the dryer after each load. If you need help with your dryer vent cleaning in Baton Rouge, we’re always here to help!